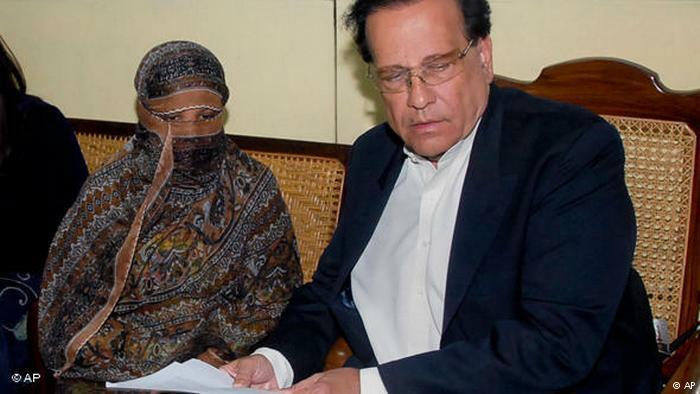 Aasia Bibi – Free at last! On 29 January 2019, almost a decade after being falsely accused of blasphemy, Aasia Bibi was finally free, when the Supreme Court dismissed a petition against the SC decision of October 2018 acquitting her of all charges. 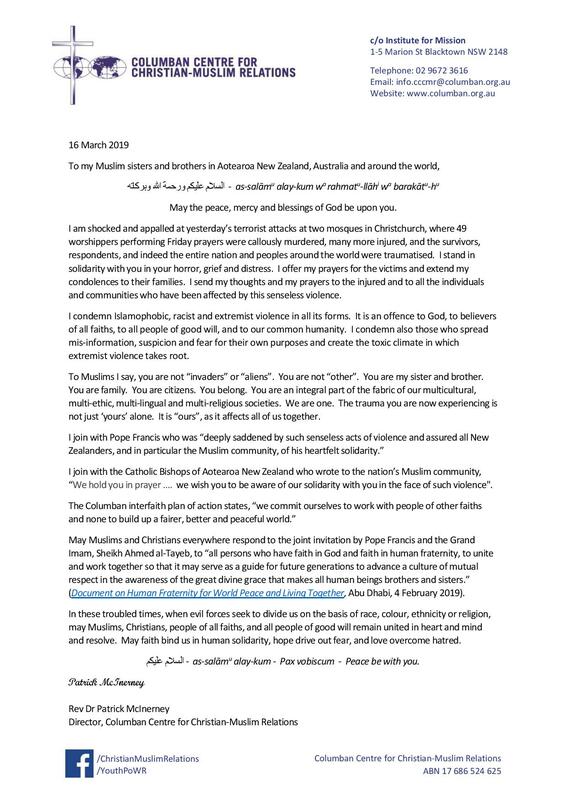 Letters of solidarity from Fr Tim Mulroy and Rev Dr Patrick McInerney, to our Muslim sisters and brothers in Aotearoa New Zealand, Australia and around the world. 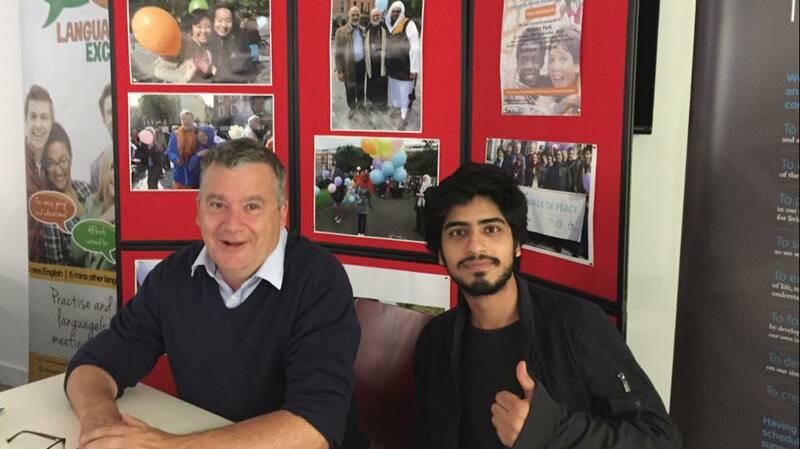 I came to realise that despite the diversity of religions, there is always a prevailing human factor that is common: the capacity to love, care and pray for each other. 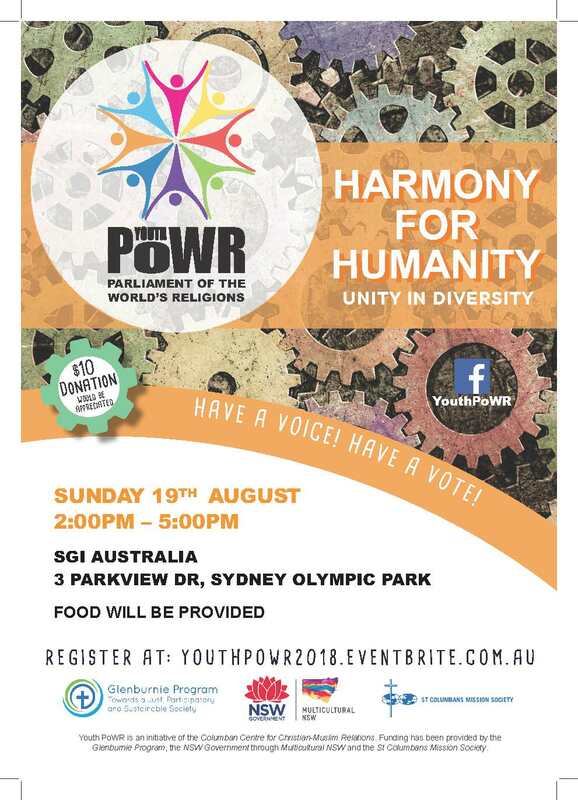 Youth PoWR 2018 brought over 200 young people from Baha'i, Buddhist, Christian, Hindu, Jewish, Muslim and Sikh backgrounds on the theme, "Harmony for Humanity: Unity in Diversity"